One day, one mind-blowing line-up, tons of cool s*** surrounding you and a whole heap of punk rock shenanigans?! It can only be the US's hottest new touring rock show – Disrupt Festival! 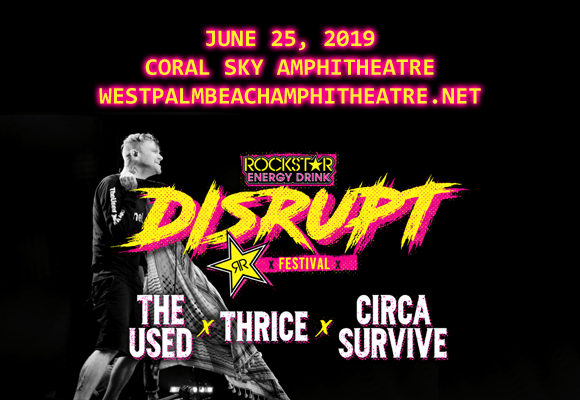 When this year's first ever tour swings by Coral Sky Amphitheatre on Tuesday 25th June 2019, it'll be bringing The Used, Thrice, Circa Survive, The Story So Far, Andy Black and more, so what are you waiting for…? Book your tickets for this freak frenzy now!